Apple made the Intel iMac Core Duo a fairly impregnable machine. You can't change any of the hardware components without voiding your warranty; in fact you can't really access anything without a chisel and some wayward behaviour. The one Achilles heel is the RAM. When you buy either of the Intel iMac Core Duos you get the choice of upgrading from the standard 512MB RAM up to a maximum of 2GB, and for the improvement Apple charges $100 (£57) for a 512MB stick and $200 (£114) for a 1GB stick. 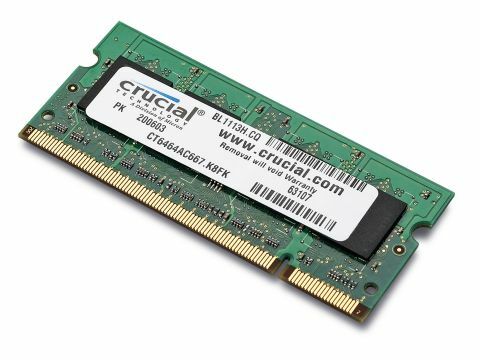 But considering how easy it is to change RAM - about as tricky as changing the fuse on a plug - you can also buy RAM direct from a supplier such as Crucial and save some money by slotting it in yourself. This equates to a £12 saving on a 512MB stick. Upgraded RAM gives instant performance boosts across your system, without voiding your warranty.